Are recent media reports predicting the death of wind in the UK overblown? Recent press reports that billions of pounds of investment in UK wind power is in jeopardy because of wavering Government commitment to the technology are "overblown", the UK Renewables industry has said. 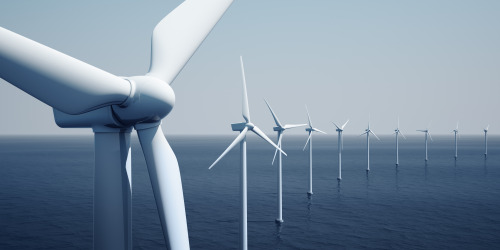 Speaking to Renewable Energy Focus, wind and marine power trade body RenewableUK insisted that the industry remained confident in the Government’s commitment to wind power, saying ministers had “repeatedly affirmed” this. This stance was backed up by the Department of Energy and Climate Change (DECC), which pointed to the UK’s ascent up Ernst and Young’s global renewable energy attractiveness rankings. “We remain top of the pile for offshore wind, and fifth overall for all renewables – up one place on last year. We’re in this market to win it for the UK, and this is welcome proof that investors see the UK as a leading clean energy destination,” a spokesman said. The statement from industry comes after a number of major wind turbine manufacturers spoke out about their concern at the mixed rhetoric coming from the UK government on wind farms. Vestas, Siemens, Gamesa, GE and Mitsubishi, which are all planning multi-million pound investments in the UK in the near future, were quoted in a national newspaper as saying the uncertainty in the UK wind market was causing them to carefully consider their options before they invest. Only two of the manufacturers, GE and Vestas, were explicit in saying they had put investment on hold until the uncertainty in the sector was resolved, but the comments gave an overall impression of extreme anxiety in the sector over the policy environment for UK wind power. Some of the anxiety is undoubtedly down to the uncertainty over the financial support mechanisms available for wind. Medium term support to 2017 under the Renewables Obligation is currently under consultation, while long term support from 2017 to 2035 under the government’s Electricity Market Reforms is yet to be revealed in any detail. But some of the manufacturers also spoke out about the confusing messages coming from the coalition Government on wind – in particular the furious backlash on wind farms in February from backbench MPs, a backlash which sits in stark contrast to the Government’s official commitment to deliver in the range of 57-90TWh/y of onshore and offshore wind power by 2020. But RenewableUK was insistent that the fears for the industry had been over-played by the media. “Describing the statements made as anxiety may be over-egging it somewhat,” said Adam Bell, RenewableUK’s spokesman. “While there is some unhelpful rhetoric coming from the back benches, the Government has repeatedly affirmed its commitment to the sector, and it’s a case working out how we develop the green economy, rather than whether we should,” he said. Siemens, which said it had nothing to add to its chief executive’s statement that the backlash against wind power in the UK was “very significant”, insisted that it was continuing with its plans for a turbine factory in Hull. “We were encouraged by the favourable response to offshore wind power development in last year's review of the renewable obligation regime. We are equally keen to maintain that momentum now and push ahead with our plans," a spokeswoman said. Further fuel was added to the fire earlier this month with the publication of a report from a the Government’s committee on electricity networks, the Electricity Networks Strategy Group (ENSG), which appeared to downgrade the contribution of wind power to the UK power sector by 12% on the last report of 2009. The contribution of nuclear power to the 2020 mix, meanwhile, was almost doubled from 6.9 GW installed capacity in the 2009 report, to 12.3 GW in the 2012 report. However, DECC insisted that the document, which is intended to assess the impact of integrating new technologies into the grid, is not Government policy and is merely intended to inform discussions on future grid development, a position backed by RenewableUK.